Wiltshire College’s Lackham Farm and Estate is located in the rural heart of Wiltshire. Within its 688 hectares are three working commercial farms, historic buildings, a museum and animal park. Home Farm, one of the working farms, has 184 hectares of productive land and is home to a dairy unit of 170 cows with calf rearing. As part of our wider energy reduction work with Wiltshire College, SMARTech energy undertook an in-depth analysis of energy consumption at Home Farm. SMARTech Heating & Cooling installed an Eniscope energy monitoring system at Home Farm to generate minute by minute, real-time analytics on energy usage and quality. Following the acceptance of the plan by the client, SMARTech Heating & Cooling partnered Home Farm in the implementation of the plan. 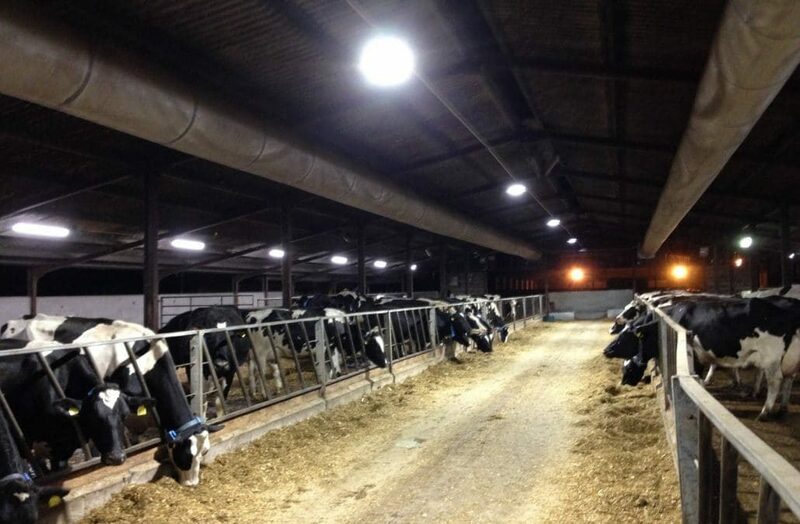 Phase 1 saw SMARTech Heating & Cooling design, supply, install and commission the recommended commercial LED lighting solutions with controls across the Cow Shed, Beef Shed and Parlour. 18 x IP67 linear LED luminaires 60 watt each. 6 x 150 watt LED high output round high bays. Day time control system incorporating daylight harvesting technology set to come on if light levels fall below ~200 lux in the barn throughout daytime hours which will operate via a timer set to operate over 17 hrs a day ie. 4.30am until 9.30pm. Night time control system which will operate the dimming function on the LED lights to give an output of an average of below ~50 lux across the barn. Our case study on SMARTech Cooling’s work with Lackham Farm tells the story of how we helped reduce their energy consumption. If you would like to reduce energy waste, boost profits and cut carbon emissions then contact SMARTech Cooling today.